Suances is a fishing village which has without doubt the greatest summer life in Cantabria. It has a really nice atmosphere and one of the best gastronomy in the region. It stands out for its beaches, its unique natural corners and for its works of cultural value. Indeed there is nothing better to enjoy in Suances than to see all of its landscapes formed throughout history. Its long history has left us with numerous vestiges to expore. 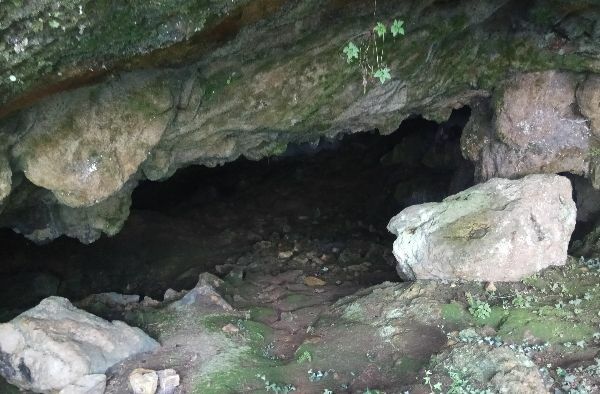 We can find the prehistoric "cave of the witches", the Cantabrian pre-Roman caste of Hinojedo or the ancient Roman villa known as Portus Blendium, which was one of the main commercial routes in the North of the Peninsula. Last but not least It is centrally located with respect to numerous important points in the region. If you are wondering what to do in Suances, you should know that you have a wide array of choice when it comes to gastronomy with restaurants of great quality and at very affordable prices. Suances is known for its varied nightlife, featuring the theme parties on Wednesdays. During the summer, people from all over Cantabria go, every Wednesday, to enjoy their nightlife. The so-called “Fiestas del Farrero” consist of a thematic celebration every week, such as the Hawaiian party, the pajama party or the Ibicencan party. Among them, stands out the Fiesta del Carmen, patron saint of the town. During the summer, numerous cultural and sports activities are also carried out. Medieval markets, beach volleyball, beach handball and surf tournaments stand out among the most important events in this town. These tournaments bring together a large number of enthusiasts of these activities and many curious people who want to enjoy something different. In addition, Suances has been a passing area for competitions as important as the Tour of Spain. At the level of gastronomic tradition, many fairs are held, among which the seafood, rice, and cod fairs stand out. You can also enjoy the numerous restaurants in the villa, which offer incredible value for money. Enjoy the typical dishes of Cantabria and the best places to eat in Suances. 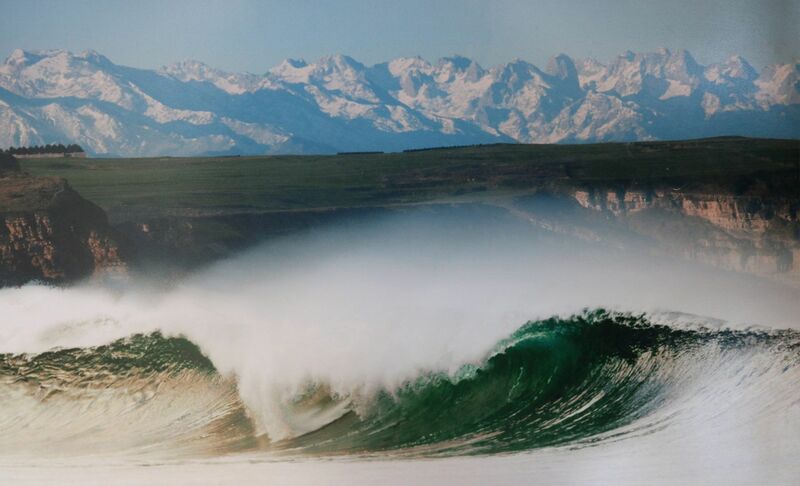 Los Locos beach, declared in 2012 the third European Surf Reserve due to the exceptional quality of its waves. La Concha beach, almost 1 kilometer long. The beach of La Tablía, the wildest and most beautiful of the municipality, surrounded by impressive cliffs. The beach of Tagle, is a very well preserved beach in a rural environment without buildings in sight. The beaches of La Ribera and Riberuca in the Ría de San Martín are marsh beaches where tranquility reigns and numerous birds circulate in front of bathers. Watchtower for whale seeing in the west end of the municipality from which they were sighted and hunted abundantly in the past centuries. Puerto Calderón: from the nearby village of Ubiarco, a rural road runs along a coastline of high cliffs that ends in the peculiar landscape of Puerto Calderón, a rocky mountain that falls directly into the sea in a small unspoiled natural bay of impressive beauty. The island effect of the 3 beaches around the Peninsula de los Locos makes the area a great choice for surfing thanks to the size of the waves, the wind and the tide. Los Locos is the beach where a great number of surfers of high competition have been forged with several European titles and several national surf, bodyboard and Stand up Paddle. Undoubtedly, one of the most interesting places we can see in Suances. From the viewpoints of Los Locos you can see the entire beach and the Punta del Bichoso Lighthouse. From the Torco viewpoint there are views of the entire village. The Curva lookout has magnificent views of the San Martín estuary. Finally, the viewpoints of the Cuba and the viewpoint of the Palace of Jaime del Amo with the Suances sign are obligatory stops to take a different perspective of the town. These lookouts will give you an image of the beauty of northern Spain and its coastline. At a cultural level, the hermitage of Carmen or the convent of Santo Domingo are a must-see on your trip to Suances. 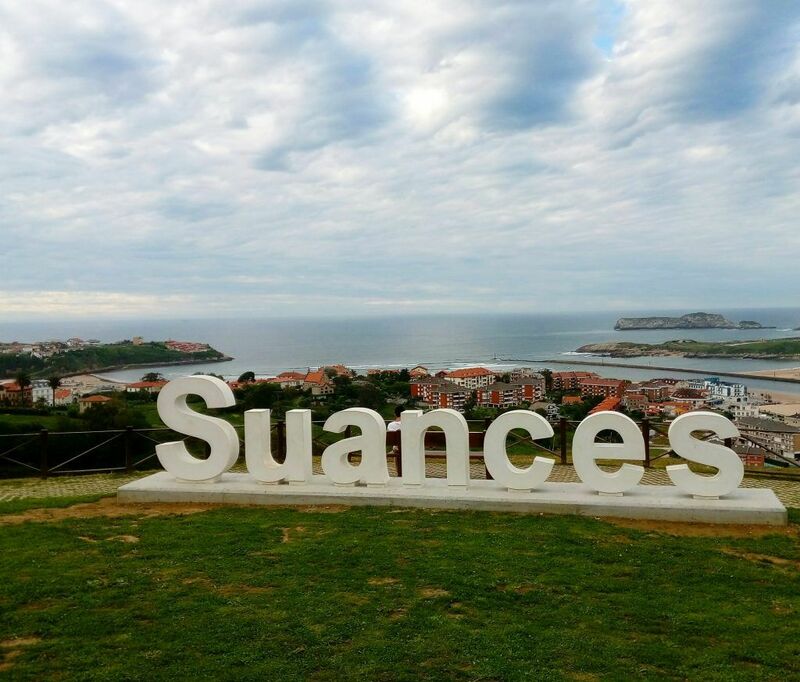 In addition, Suances is a place of passage on the pilgrimage roads of Santiago (Camino del Norte) and the lebaniego road, so you can find many pilgrims looking to enjoy this beautiful town. 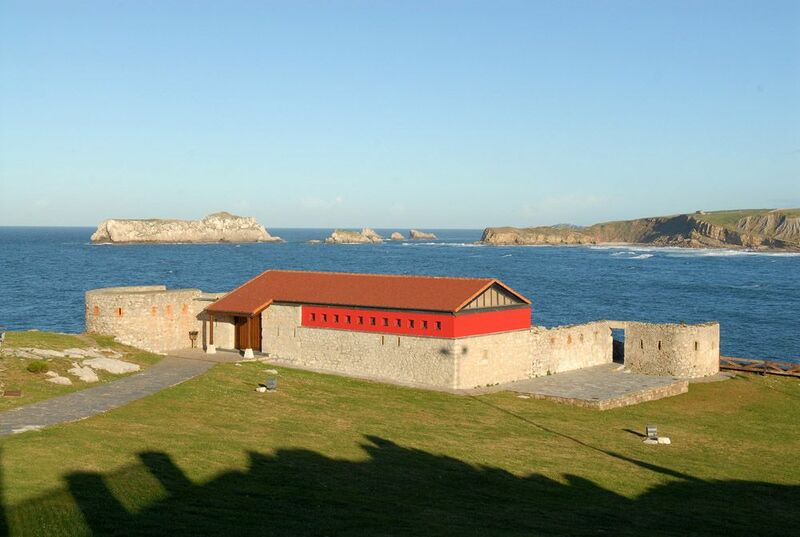 Suances has a privileged situation in the center of Cantabria. 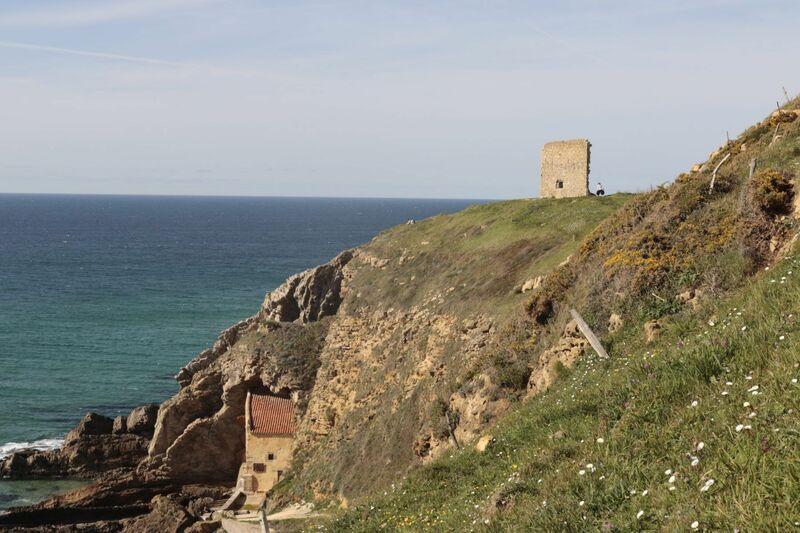 Tourism in Suances and its surroundings offers possibilities for all tastes. From this villa, you have all the cultural, beach and mountain destinations of the province just minutes away. 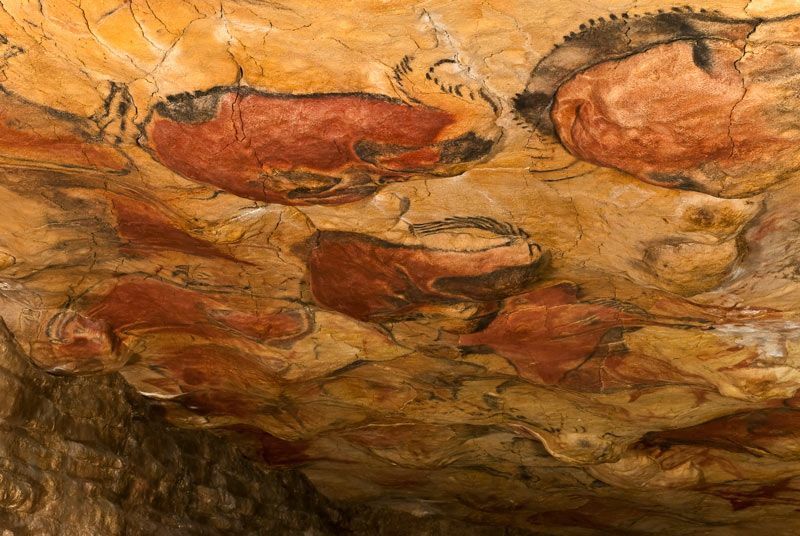 It is a town with a long history inhabited by some of the very first humans, the inhabitants of Altamira, who gave us “the cave of witches” filled with their prehistoric engravings. This cave can be found at proximity of our surfcamp and has been the subjects of many visits since the beginning of biosurfcamp. It’s a cave with a very large entrance in which these people used to live followed by a passageway of about 300 meters where the engravings have been laid. It can be an occasional dwelling of the great prehistoric artists who have made our region famous throughout the world. Moreover, you can also visit the Hinojedo fortress on the top of the plateau of La Masera as well as its eastern slope. It is an enclave that was inhabited by the pre-Roman people of Cantabria. It also seems that they settled so close to the marsh to be able to enjoy what the sea of cantabria has to offer. Already in Roman times, the Villa de Portus Blendium was established, from where the precious caramelised blende from the Picos de Europa was shipped to Rome. 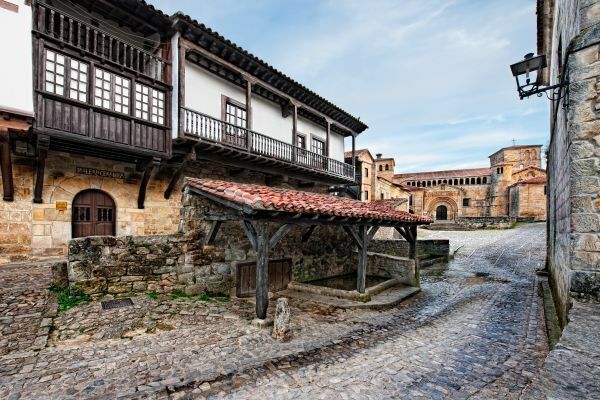 On a cultural level, you can reach Santillana del Mar in five minutes. It’s been called “el Pueblo de las 3 mentiras” or the town of the 3 lies in english (since it is not holy, nor is it flat, nor does it have a sea). In it, you can walk through its cobbled streets and travel back in time to the middle ages. Next to this town, you can find the Altamira caves, and the Sistine Chapel of contemporary art. Currently, it is only possible to visit the Neocueva, a perfect reproduction of the original while only 5 people per week are allowed access to the real cave in order to better preserve it. 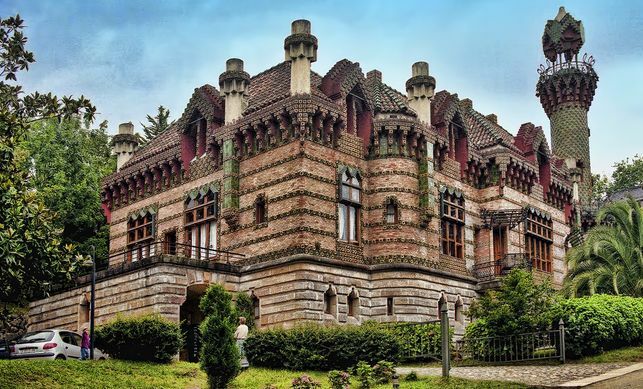 Comillas is a town 20 minutes away from the camp and should also on your to do list. This town is full of great works of cultural interest, with “el Capricho” of Gaudí, one of his first architectural works and one of the three that are outside of Catalonia. You should also think about visiting the Palace of Sobrellanos, the Chapel-Pantheon, the cemetery and the Pontifical University, which are all worth your time. 30 minutes away is the capital of Cantabria, Santander. In this small city we can enjoy the Palacio de la Magdalena, former summer residence of the Kings where numerous movie scenes took place, such as the famous scene from “Gran Hotel”. In addition, Santander has one of the most spectacular bays in the world and several beaches of great natural beauty, such as the Sardinero beaches or the beach of Los Peligros. On another hand, you can also visit museums such as the Cantabrian Maritime Museum, the Museum of Archeology and Prehistory of Cantabria, and last but not least the Museum of Modern Art or the prominent Botín Center, right in the center of Santander. Other areas of interest near Suances are the fishing village of San Vicente de la Barquera, the Picos de Europa National Park and the Cabárceno Nature Park, an old iron mine converted into 750 hectares where animals can enjoy their natural environment.